Prato is located between Pistoia and Florence, at approx. 20 minutes car drive from the Agriturismo I Pitti. The city, with 180.000 inhabitants, is famous for its wool textile industry, that as long ago as the Middle Ages, has an important role in the economic and social development of the entire district. Its modern factories are now concentrated in the industrial zones. But beyond this aspect, Prato offers the tourist many historical and artistic attractions of great interest, with a cultural itinerary that goes from Medieval times to the Contemporary Art. In fact, if more attention is paid to this ancient center near the Valley of Bisenzio, it will be discovered to contain a vast number of artistic and cultural treasures that are truly worth visiting. 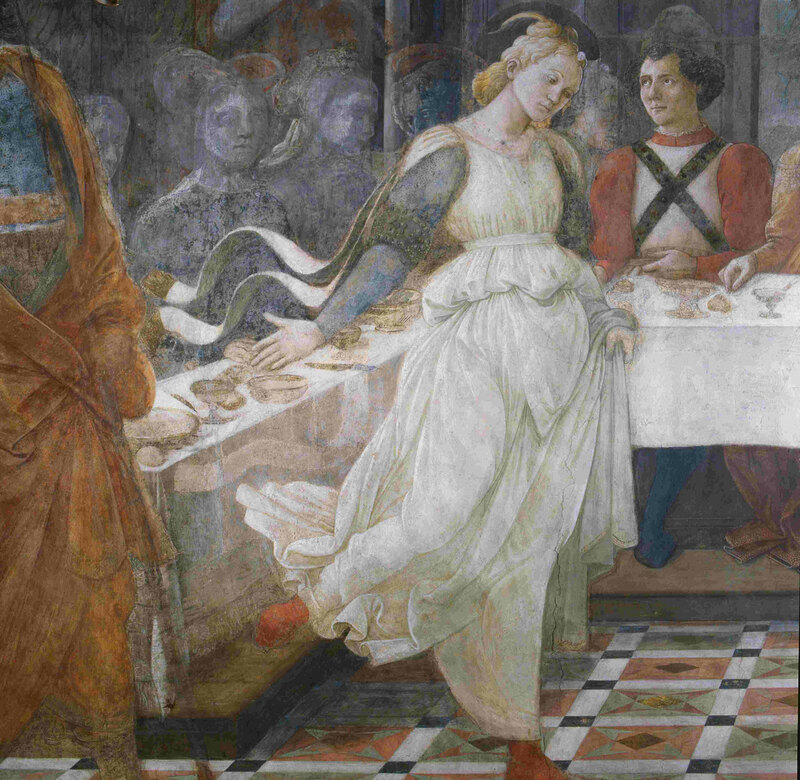 It’s impossible not to stop there even if it is only to be able to see the Prato Cathedral, a jewel in the heart of the city, where one can stop and admire the delicate face of Salomé dancing in the painted frescoes by Filippo Lippi, one of the greatest expressions of the Italian Renaissance recently restored and returned to its historic splendour along with the frescoes by Paolo Uccello and Agnolo Gaddi, and with an outer pulpit decorated by none other than Donatello. Beside this soul made of historic works of art, Prato also reveals its avant-garde spirit with its Luigi Pecci Centre for Contemporary Art, that each year dedicates temporary shows to artists of international importance such as Mario Merz, Jan Fabre and Mimmo Paladino. 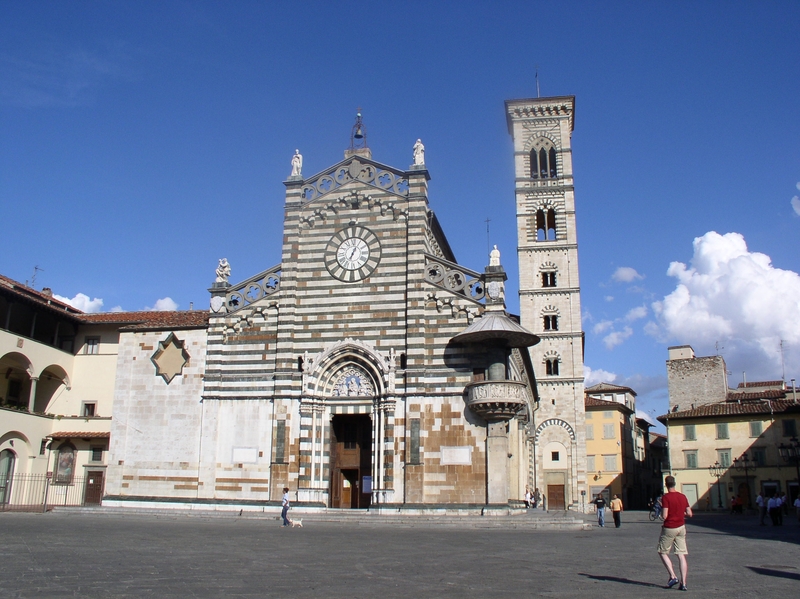 Here below you can download your audio guide tour of Prato in English language. Ask us for a map so that you can plan in advance your visit. In this brochure the most important attractions of the town are presented to help the visitor to organize in advance his tour trough this little jewel of Tuscany. Gallery | This entry was posted in PRATO, Uncategorized. Bookmark the permalink.